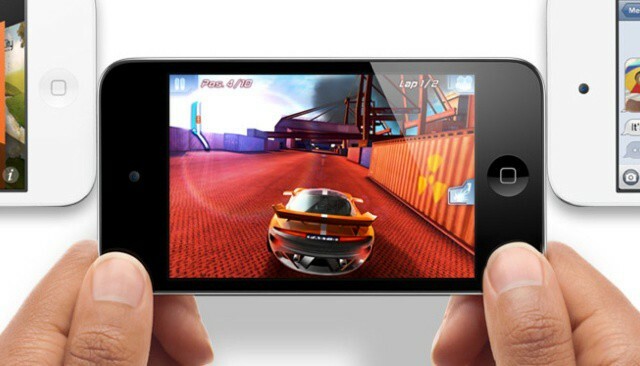 iOS devices will soon be the world's most popular game console. Apple’s iOS devices have had a huge impact on gaming, and more and more people are choosing to get their kicks on the iPhone and iPad rather than dedicated handheld consoles from the likes of Sony and Nintendo. By the end of this year, analysts expect Game Center accounts on iOS to surpass the 200 million milestone, making it the world’s biggest gaming platform. According to Apple, there are currently more than 130 million Game Center accounts, which means iOS devices are already more popular than home consoles like the PlayStation 3, the Xbox 360, and the Nintendo Wii. In fact, it’s currently the world’s third-largest gaming platform. 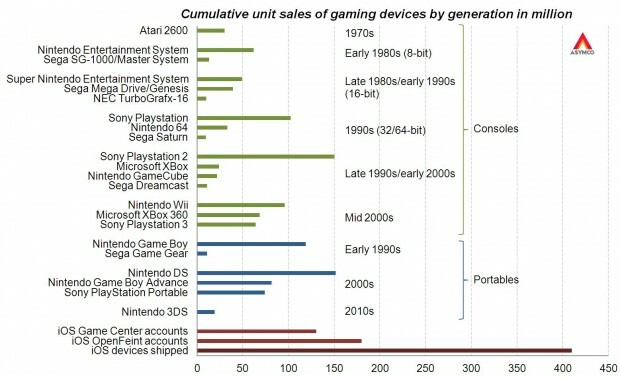 But Asymco expects Game Center to surpass 200 million users by the end of 2012, putting Apple’s platform way out in front, ahead of the Nintendo DS — the best-selling console to date. “No gaming device has ever reached the 200 million mark,” Asymco says. If you look at OpenFeint figures, a third-party gaming platform on iOS, there are already more than 180 million people gaming on iOS devices. Of course, it wouldn’t be accurate to look at sales figures alone, because not everyone who purchases an iOS device uses it for gaming. So Game Center and OpenFeint accounts are the most accurate way of determining the figures. Even then, you need to bear in mind that some users could have more than just one Game Center or OpenFeint account. Even so, iOS devices have been gearing up to overtake consoles for some time.